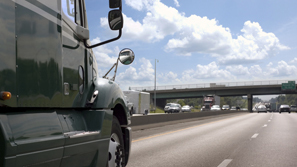 Commercial truck drivers and transportation companies must comply with a wide range of state and federal transportation laws and regulations that are designed to reduce the frequency and severity of trucking accidents. Commercial trucks traveling interstate must abide by specific Federal Motor Carrier Safety Administration (FMCSA) and state Department of Transportation rules and regulations at all times. Additionally, truck drivers are required to follow specific reporting requirements in the event that they are involved in a truck accident. The legal team at The Law Offices of Frank L. Branson has extensive expertise investigating truck accidents, and the firm’s lawyers know how to aggressively investigate Department of Transportation (DOT) violations by truck drivers. Such information can be very important in lawsuits involving truck driver and transportation company negligence. To learn more about our experience in Department of Transportation regulation accident matters, we invite you to contact the firm here.